As with any livestock, if you are thinking of keeping pygmy goats, there are certain considerations that will have to be addressed before you get started. 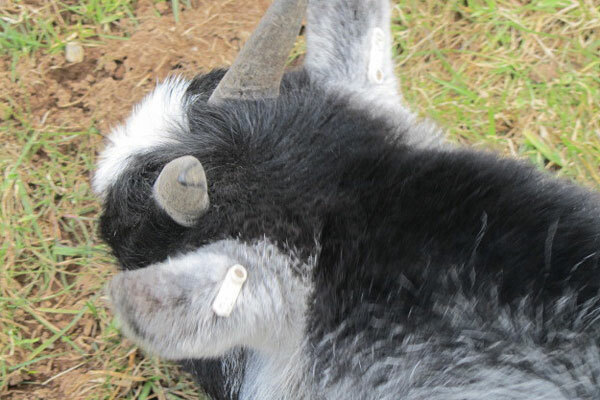 The first in a series of articles addressing the principle facets of pygmy goat ownership. Consideration has to be given not only to the cost of buying pygmy goats, but also the cost of setting up an appropriate environment for them to live in. On top of this there is also feeding, bedding and of course the inevitable veterinary bills that crop up from time to time no matter how well provided for your goats may be. These costs will depend entirely upon on your setup and the amount of goats you keep so, wherever possible, you should seek advice from other experienced keepers on what bills you can expect, especially if the intention is to buy goats for breeding purposes. If access to such advice is not readily available locally, you can contact The Pygmy Goat Club secretary. There are certain legal requirements before goats can be brought onto your premises. First of all, a County Parish Holding Number (CPH) has to be obtained from the Rural Payments Agency which can be contacted on 0845 6037777 (Customer registration option) or The Welsh Assembly Government if you live in Wales. You will asked a few questions about your holding including the location and the activities to be undertaken – goat keeping in this case – and you should receive your number a few days later. All livestock must be tagged either with an identical tag in each ear or a single tag and a tattoo. The tag has to have the herd number relating to the holding of the person from whom the goats were purchased and a unique individual number. There are several types of tag available, round button tags are popular with breeders and tend not to get caught as readily as some but, alternatively, Allflex D tags (pic below) have thin pins that tend to break more easily than thicker pinned varieties avoiding ear damage. Any movement must be accompanied by an Animal Movement Licence (AML) which has to be completed and returned to your Local Trading Standards Office within three days of arrival. They should also provide you with a Movement Record Book in which you must record all movements. Finally, at some stage within 30 days of arrival of your stock you will also need to contact the Animal Health and Veterinary Laboratories Agency to be issued with a unique herd number. Pet goats or breeding stock? First things first, goats are herd animals so you should never keep less than two. While all pygmy goats are pets, there is a distinction to be made between pygmy goats bought as pets and those bought as breeding stock. While the final decision is ultimately yours, if your animals will be kept purely as pets then you might perhaps consider purchasing two or more castrated males or faulted females which, for example, may have an extra teat or a mouth fault. These will be cheaper than registered stock and castrated males will not smell or display any of the undesirable characteristics of an entire male, which are very difficult to keep and not recommended for novice keepers at all. Expect to pay £150-£185 for a wether and considerably more for females and entire males which start at around £250. Prices for faulted females will vary considerably. Mouth faults in females should be fully determined for both type and degree of severity as some faults can prevent them managing their food properly later in life. Certainly don’t consider one with a twisted jaw – such a goat would be better euthanized as soon as possible after the fault is diagnosed. Animals that are brought up together should continue to get along but it can be more difficult to introduce new stock to an established herd. If considering buying females for breeding purposes, then the best advice would be not to rush in and purchase the first ‘cute’ ones seen. I would advise buying stock registered with the Pygmy Goat Club as this is the only way of determining their status. Any breeder worth his or her salt should be able to provide a four generation pedigree, easily obtainable from the Pygmy Goat Club website. If you do not have the experience to confidently assess the value of a goat’s pedigree then, again, consider joining the Pygmy Goat Club before starting your search. Your Regional Advisor should be able to advise you on the best breeders to approach, either in your area or further afield. If at all possible, take an experienced breeder with you before deciding on which stock to buy, as having foundation stock with good conformation can save years of mediocre breeding, trying to improve your herd. One final point to remember when buying registered stock, is that you should ensure that the seller completes a Transfer of Ownership form and sends it, together with a £1.50p fee and the current registration form, to the Pygmy Goat Club’s registration officer. She will then send a new registration form to the new owner. If this is not done, then any future off-spring cannot be registered. A paddock. Grassed area free of poisonous plants and with a field shelter available if the permanent shelter is not adjacent to it. For those with just a couple of goats in a relatively small space the outside area should be converted to hardstanding to avoid a heavy worm burden building up. Suitable bedding. Different types are available. An area of hard standing adjacent to both the field and permanent shelter. I would like to keep 2 or more Pygmy goats for pets. Preferably rescued. Not for breeding or milking. I live on one & 1/4 acres. Half woods & 1/2 lawned. 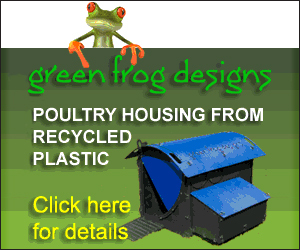 Have 9 free range organic hens. My husband of 30 years has alway wanted a goat for a pet….I want to know how hard of a upkeep is to have goats…….he would like a pygmy goats…would he have to have 2 and why….we will be moving to 4 acres in the spring so I think its time he has his dream pet…any help would be greatly appreciated!! Hi. 4 acres is a lovely amount of land and plenty to allow you to rotate the paddocks during the year. Pygmy Goats are fairly easy to keep but you do need to keep more than one as they are herd animals and suffer if kept alone. I would suggest 2 females and a wether (castrated male) perhaps, but not an entire male which can prove to be a handful for beginners. We have a complete series of articles covering all aspects of pygmy goat husbandry for the beginner on the site – just follow the links at the end of each article to the next. It is written by Pat Mercer who is one of the country’s great authorities on Pygmy Goats. The series is also available as an updated print version for £7.95 – please contact me if you are interested in a copy. 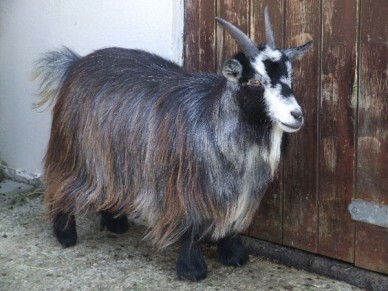 Am thinking about purchasing a pygmy goat as a pet. I have a back garden approx 35 to 40 ft long and approx 20ft wide all grassed with concrete patio.knowing about shelter and all necessary vacs and feeding would this be big enough for a pet pygmy? Would 2 pygmy goats be suitable for city living? We have a 30m garden and miss having livestock! I guess you could in a garden that size with a breed that thrives in smaller environments like the Golden Guernsey but you would have to check with the council that it doesn’t contravene and local bylaws and also check your house deeds for clauses about livestock. Your main problem in a city is close proximity of neighbours and their reaction to the noise and smell. You might also struggle to keep your garden in good condition so would need to turn some over to hardstanding for the wetter months. In theory it’s possible but probably not advised. We are buying a house which comes with a resident female Pygmy and 2 chickens. There was a male there at one point but he had to be rehomed as he was unmanageable for the owners. Is it worth introducing another Pygmy or should be leave the female on her own? She will be very unhappy on her own, goats are herd animals so you should get her a friend for company. Another female or a wether (castrated male) would be perfect for this. You may need to let them get accustomed to each other in adjacent paddocks before putting them together but they should get on well. I have an area of around 100′ x 30′ which has gone wild. I used to keep IR ducks on it until the fox got the lot a couple of years ago. It is fenced, 6′ on 2 sides and 3′ on the other 2 and has a large overgrown pond in the centre. There are also a couple of mature apple trees in that area. It is one section of a half acre garden. I am thinking of a couple of pigmy goats, to keep all the brash down in that area (bramble and most other weeds) and also for my grandchildren as pets. I know I would need a decent shed, but a few questions. Would the fence be high enough assuming I move everything such as seats away from it? Do foxes go for pygmy goats? Would the goats strip the bark off the trees and kill them? Would there be a danger of drowned goats if I don’t fill the pond in? Response to Mel Newman. I agree with Pocket Farm editor. You really need to buy another pygmy goat to go with the one there already. Keep them separate until they have time to get accustomed to one another. You do not say whether your existing goat is male or female or what age it is. If you wish, contact me further via my email address as I would require more information to adequately help you. I appreciate they are not lawn mowers, but it is not lawn and never has been, just rough ground. I can strim what grass there is, and some of the herbage but assume pigmy goats browse, but less so than standard goats as they have smaller mouths! Can you be a bit more specific? I can secure the area (from escaping goats) but my main worry would be foxes. I am in a semi rural area. Answer 3 – goats will eat bark but if the tree is large and mature it may be okay. It is smaller, younger trees will attract the most attention and suffer the most. Goats are not grazers particularly and won’t clear overgrowth like pigs or Llamas can so best to clear the areas a best possible before introducing them. The series of article on Pocket Farm or Pat’s book will give you much of the other information you need to decide if pygmy goats are for you and then to plan and care for them. I have a dog, and am thinking of getting a pygmy goat. Will the goat be able to socialize with my dog, or will I need to get 2 goats? Pygmy goats are sociable herd animals so will need others of their own kind to live with. Two is enough but three is better. There’s no reason why dogs and goats can’t socialise perfectly happily but I would suggest that you supervise very closely at first especially if your dog is large and/or your goats are young. Sometimes they just don’t get on and if that is the case, on either side, there is no point trying to force it. Good luck. 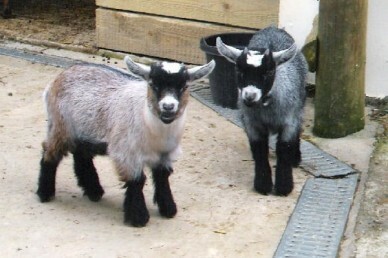 I am seriously considering on purchasing a Pygmy goat. You mention that since they are herd animals that it would be best to by two, but even better yet, to have three. First, I would like to know where I can find a reputable breeder, here in the States. Next, I would appreciate if you can give me a ball park figure as to how much I should expect to pay for one that is in the medium range? Also, would it be safe for them to be around Begian horses ( I happen to have two )? As far as housing them, I live in Montana, but the temperature isn’t always that cold. Should I consider some sort of “goat housing” other than a horse barn which happens to be 30ftx30ft? Jack, the best thing for you would be to contact the National Pygmy Goat Association. It is the association that represent Pymgy goats in America. Google it on line.The Association will give you all the help that you require. I am planning on getting two Pygmy goats but I’m not sure if I have the space. I was also wondering if they would need to be locked away in a little goat shed at night because the wether and we get loads of foxes. How much land do you have? It’s often the quality of land that counts more than the size but goats are fairly adaptable and as long as there is plenty of shelter and it doesn’t get to waterlogged you should be okay with half an acre or so that you can rotate. I would recommend a goat shed for safety and shelter at night. Read the rest of our series on pygmy goats and you should find all the information you need to start out keeping pygmy goats. Hi, I am hoping to have 2/3 Pygmy goats. Regarding fencing, is suggestion has been made to have a “mobile” electric fence as this will help to rotate the goats in my land. Do you think this is a good idea? If you have an area of land that is easily damaged – especially if it gets wet – then having a quick and reliable method of separating it into smaller pastures that you can rotate is a good idea. It would be difficult to achieve the separation with electric fencing alone as pygmys are small and quite bouncy meaning they can get through or jump over inadequate fencing. My suggestion would be to permanently divide the land and leave gates open to allow them extra ranging when you can. Have a suburban garden approx 50m long and 10m wide, a quarter of that is hardstanding,with a 6ft fence one side and a 4ft the other an old shed for housing and the grass can’t be called a lawn it’s definitely wild,tufted masses of! I’d say paddock grass lots of moss and weed. I’ve considered all the extra provisions I guess what I really need to know is if the space will be suitable for 2 pygmies? Hi. I have disabities in back. But believe I can handle 2females 1 wether. I’ve had meat goats and loved them. Pygmy seem to need more care. Vet wise. That’s ok. Dogs cats do too. Do they have to be milked? We have 3 acres of prairie grass + weeds. Small elm trees that I don’t care if they eat them. Will 4′ fence be adaquite. Can they roam the complete 3 acres. And is it ok to have great pyrmees to guard ? Housed at night. We have lots of coyotes around. I have conifer trees, laurel bush, holly bush where i plan to keep my miniture pygmy goat. which of these are poisonous? Hi, I have had Guernsey goats before and wondered if Pygmy’s are as destructive, especially in a house environment if visiting inside the home? Also, are there any health risk to younger children?